HMS Blenheim, WW1 cruiser, Royal Navy. Harold H Welbourne's service record sheet. Harold Herman Welbourne is recorded in the Bottesford list of Absentee Voters, 1918/1919, as A.B. J15373, HMS “Blenheim” (Redpole), his home address Queen Street. Harold Welbourn was Australian by birth. He was born on the 8th May, 1895, at Yongala, South Australia, son of William Welbourn, born in 1857 at Thirsk, Yorkshire, in 1856, and Amelie Sussbier, born 1859, from Tanunda, Southern Australia. Their children were William, Herbert, Myrtle, Beatrice and Harold. The family returned to England in August, 1899, aboard the “Gera”, which sailed from Sydney to Southampton via Melbourne, Adelaide and Colombo. In 1901, they had settled into a house at the northern end of Queen Street, opposite to Samuel Winn’s shop. Mr Welbourn was a watchmaker, William employed as a commercial clerk, and Herbert was a butcher’s apprentice. Myrtle, Beatrice and Harold were also there, Harold now aged 5. 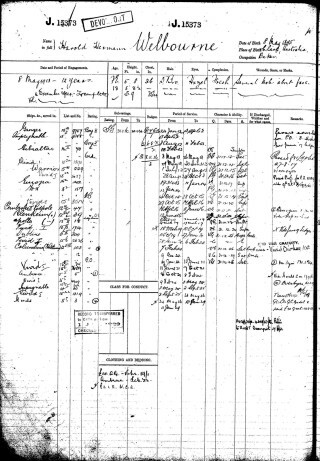 The Census of 1901 also records that Edward Welbourn, a 68 years old retired watchmaker born in Bottesford, and his wife Anne Welbourn, 54, from Mold in Flintshire, lived on Belvoir Road, Bottesford, with their grand-daughter, 18 years old Annie Welbourn, working as a housemaid, who was born in Pontefract, Yorkshire. It is possible that William and Edward Welbourn were related, both being watchmakers. Edward may have been William’s uncle. In 1911, Harold Welbourn was living with his mother Emilie at 7, Chapel Street. He was an apprentice baker, his widowed mother was a dressmaker. The Census also records that at 1, Albert Street, lived Drusella Morgan, a 67 years old widow from Carmarthen, with her adopted daughter Jessie Welbourn, aged 23, from Cefn Coed, Breconshire, and her husband Herbert Welbourn, a book-keeper also 23, from Jamestown, South Australia. Almost certainly, this Herbert Welbourn is Harold’s older brother, who also served with the forces during the war. Harold H Welbourne joined the Royal Navy on the 8th May, 1913, as a Boy II (note that he spelled his surname with the extra ‘e’). His service number, J15373, was to remain with him through the sixteen years of what proved to be a long Royal Navy career. He was 18 years old, and signed on for twelve years. From then on, he was to serve on a series of Royal Navy ships. There were also shore spells, mostly at HMS Vivid I, which was the naval barracks at Devonport and the School of Seamanship, Signalling and Telegraphy. He was at Gibraltar for three months in 1913, becoming and Ordinary Seaman. On the 12th January, 1914, he joined HMS Fox, where he was serving at the outbreak of WW1, becoming an Able Bodied Seaman on the 14th October, 1914. 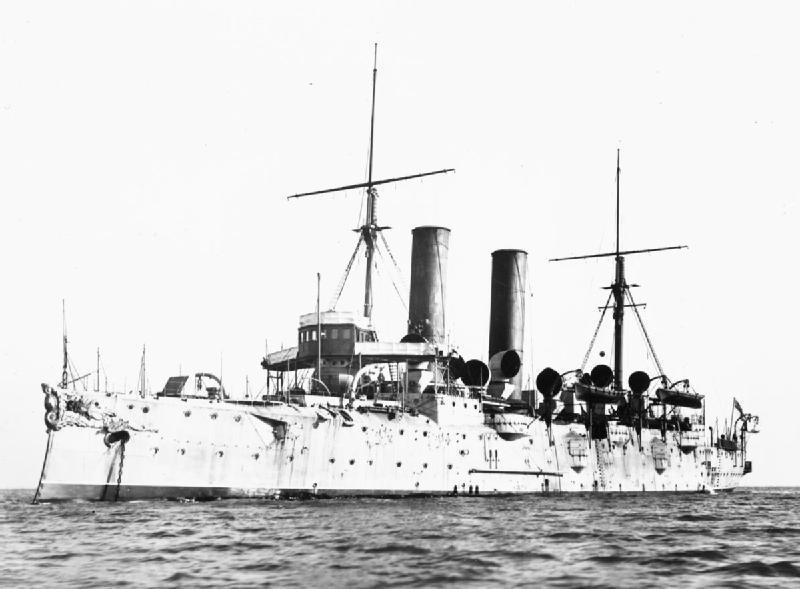 HMS Fox was a protected cruiser of the Astraea Class, built in 1901. 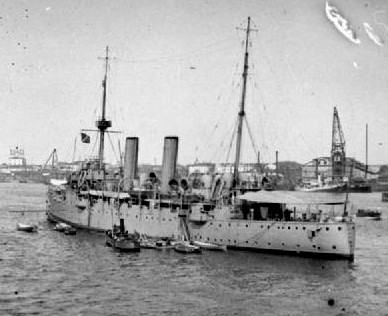 Early in 1914, she was in the Indian Ocean, and captured two German merchant ships in August, 1914, and later took part in a raid on Dar-es-Salaam. He was back on shore in England from the 29th October, 1915, through the first half of 1916, and received the Naval General Service Medal at HMS Vivid on the 10th November, 1915. Then he served aboard HMS Blenheim from the 12th June, 1916, until the end of November, 1919, more than three years. The Blenheim was a protected cruiser, built in 1890. It operated as a destroyer depot ship as part of the Mediterranean Fleet, and supported the Expeditionary Force at Gallipoli. Harold H. Welbourn was awarded the 1914-15 Star, the British War Medal and the Victory Medal. At the end of hostilities, Harold Welbourn was serving on HMS Blenheim, where he was to remain until the 1st December, 1919, when he transferred to the minelayer, HMS Apollo. After that, his career in the Royal Navy continued until January, 1929. 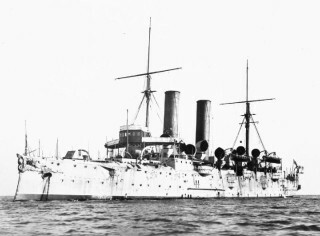 His service record shows a series of mostly short postings, mostly at the HMS Vivid barracks at Devonport, but with spells on board the naval ships Dublin, Columbine, Ambrose, Impregnable and finally the Herald. He was awarded the Royal Navy Long Service and Good Conduct Medal on the 25th July 1928, as a Petty Officer based at HMS Vivid but was on the crew of the Survey ship, HMS Herald, at the time he received it in September, 1928. He married Mary J Bennett, in the fourth quarter of 1924, at Devonport. After he left the Royal Navy in 1929, Harold and Mary lived on the Lizard in Cornwall. The 1939 Register records Harold H and Mary J Welbourne lived at “Fernleigh”, Mullion, Kerrier Rural District, Cornwall. 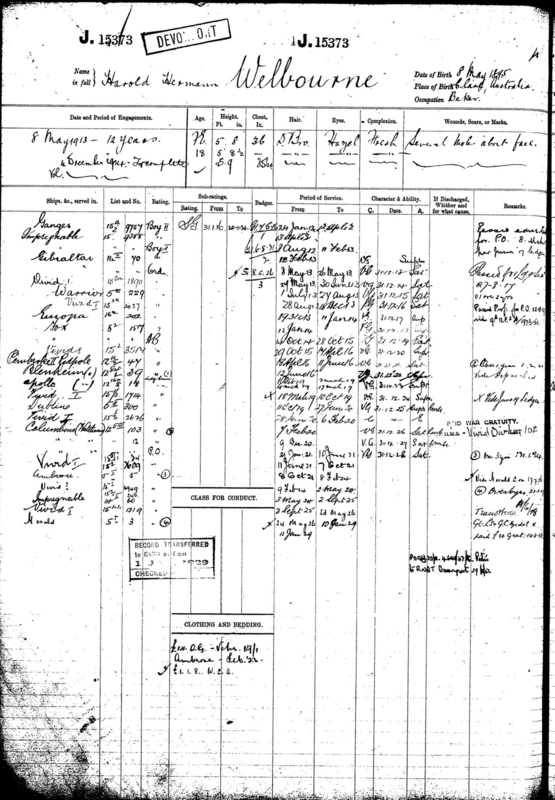 The General Register records that Harold Welbourne died in Plymouth, December 1966, aged 71.